My name is Heather O’Donnell, I am wearing my 4 month old daughter, Grace. My Auntie Sue took the picture and my mother-in-law Eileen was with us. 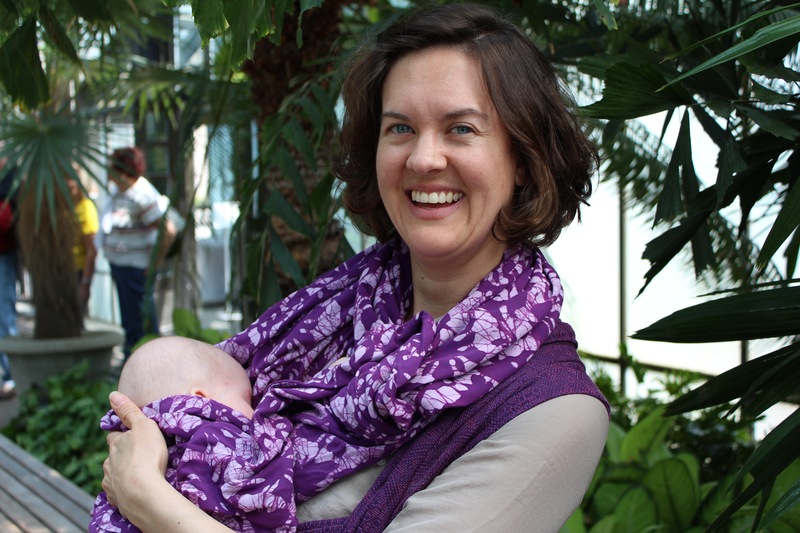 We are visiting Longwood Gardens in Kennett Square, PA.
Grace is wrapped in a Didymos Viola 1975 Old Standard. This shot captured the first time that I had attempted to breastfeed Grace in a wrap. We still have some fine tuning to do, but we made it work! April 24, 2013 – my 34th birthday, and also the day that my mother passed away 7 years ago. I am babywearing because it allows Grace and I greater mobility and closeness. I love having her nap on my chest and giving her the ability to see the world from a space that she knows is safe. 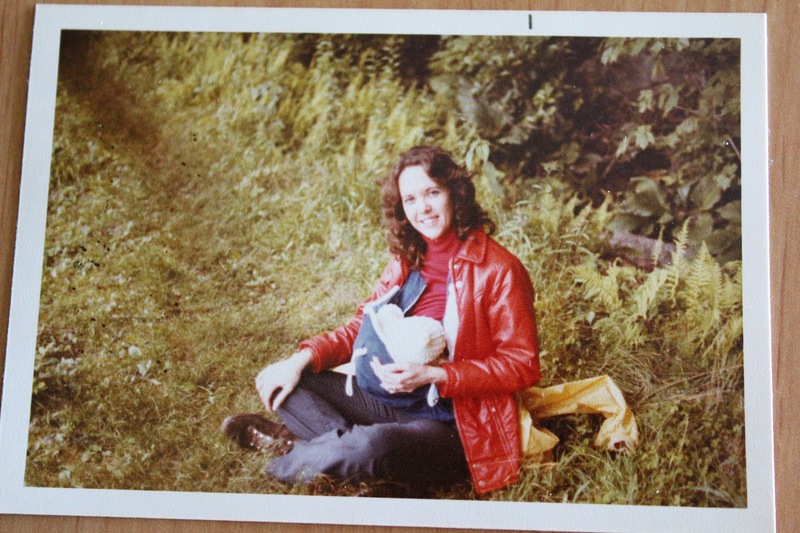 I wanted to have my picture taken while breastfeeding and babywearing because I recently discovered a photo of my mother doing the same with me in 1979 and it makes me feel a special bond with her, even though we can’t directly share our experiences of being new mothers. I also included the photo of my mother that inspired me to take this picture. Wow how cool Heather! What a beautiful tradition….you look radiant. So lovely, both pictures and your story!